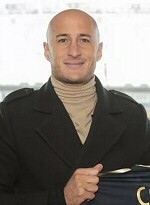 The Philadelphia Worms, apparently in desperate need for defensive help, signed Metro washout Aurelien Collin. The Frenchman, who was fantastic when he came to the club in 2016, was hampered by injuries in 2017. This was followed by a dismal 2018, where he stopped seeing any playing time after a miserable outing against Columbus. Good luck, Aurelien, you're gonna need it!